(More detailed results can be obtained from two excellent wikipedia sites: for the ICCU Championships; and the IAAF World Cross Country Championships). Cross-country running is a traditional sport: a true test of endurance and resilience. Meeting such a difficult challenge certainly forms character! Although the population of Scotland is small compared to many other countries, including England, Scottish International cross-country runners have worked hard for selection and have done their best in big events. Naturally, some have more talent than others and, assuming they have trained properly and have strong race day nerves, probably finish higher up in the result list. However every person named in this article deserves considerable respect. Between 1931 and 1938, the International Cross Country Union organised four unofficial Championships for Women. These took place in 1931 (England, France, Belgium); 1932 (England, France); 1935 (England, Scotland); and 1938 (England, France, Belgium). Four more unofficial Championships were held between 1954 and 1957: these were contests between England and Scotland. For each country, there were up to six women in the team. Unfortunately, in those five unofficial events between 1935 and 1957, no Scottish woman managed to defeat an English rival, although Aileen Drummond ran consistently well in three races; and Constance Johnson, Jean Tait, Catherine Boyes and Doreen Fulton also shone. Anna Herman won the SAAA 440 three times. Leading Scots in 1935 included: Constance Johnson (Maryhill H and London Olympiades), who won the Scottish XC title in 1933 and 5 SAAA titles: 440 in 1932; and 880 thrice; Mildred Storrar, who was Scottish Champion four times (1934-36 and 1938) and won the SAAA 880 thrice; and Jean Tait (Scottish Champion in 1937). The 1935 unofficial International match was held on the Old Golf Links in Morecombe, Lancashire. The distance covered was three km/1.9 miles. 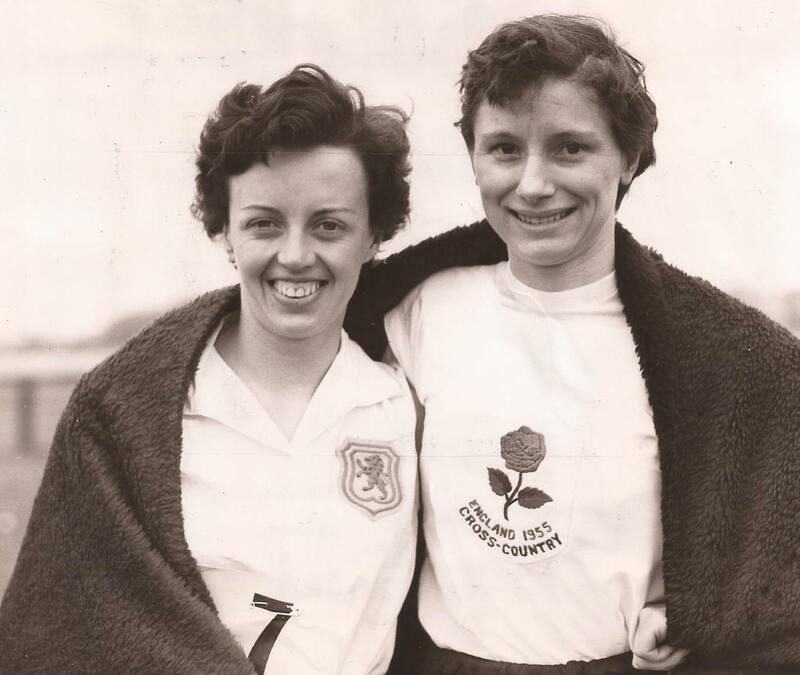 Scottish Champions between 1954 and 1957 included: Aileen Drummond (1954-1956) – Aileen won SAAA titles at 880 twice and One Mile thrice; and Morag O’Hare (1957). Dale Greig showed enduring fitness. She ran the International in 1957 and 1968; and won Scottish XC titles in 1960, 1962, 1964 and 1968. Dale was famous for setting the first World Best Marathon Time for a Woman in 1964. Mollie Ferguson became Scottish 880 yards champion in 1959 and, as Molly Wilmoth, regained the title in 1961 when she also won the 440. Senior Women were officially included in the 1967-1972 ICCU Championships. From 1973 onwards, the IAAF World Cross Country Championships took over; although from 1988 Scots could only compete as part of teams from the United Kingdom. A Junior (under 20) event started in 1989; and a Short Course Championship was held from 1998 to 2005. The 1967 ICCU Championship was in Barry, Wales. England, Ireland, Wales and Scotland took part. The Scottish team finished third. Margaret MacSherry of Cambridge Harriers had won the Scottish Intermediate (under 17) title and was first scoring Scot in the International, finishing 9th out of 26 participants. Georgena Craig was 11th, Leslie Watson 14th and Margaret Purdon 16th. Margaret MacSherry (who became Margaret Coomber) was to be one of the most successful Scottish International athletes. She won the Senior National XC title in 1970 and 1972; and, in the ICCU/IAAF XC Championships, represented Scotland an amazing 14 times in succession between 1967 and1980. On the track she won the SAAA 1500m four times and ran for Scotland in the 1970, 1974 and 1978 Commonwealth Games; and for GB in the 1972 Olympics. Georgena Craig (nee Buchanan), who ran for Maryhill LAC and Western, also enjoyed a fine athletic career. She took part in the 1966 and 1970 Commonwealth Games; won three successive SWAAA 880 yards titles from 1963 to 1965, and the One Mile event in 1964. In addition she was Senior National XC champion in 1963 and 1965. Leslie Watson (Maryhill LAC and London Olympiades) was Senior National XC champion in 1966 and 1967. On the track she won the SAAA One Mile in 1966. However her lasting fame was as a marathon (and ultra distance) runner. Leslie was renowned as a graceful athlete who became one of the most prolific and successful of Scottish marathon and ultra distance runners with 68 career marathon wins in Scotland, England and abroad, as well as victories in the London to Brighton 54 miles race. She set World Best times at 50 km on road and track; as well as a British 100 km record. The 1968 International was held in Tunis. England, Ireland, Wales and Scotland took part as well as the United States of America. 30 athletes participated and the Scottish team did well to finish third, beating Ireland and Wales. Doreen King, who had been the 1961 SAAA One Mile champion, was first Scot in 12th, with Margaret MacSherry 13th and Scottish champion Dale Greig 14th. Good packing! Leslie Watson was fourth counter in 16th, Rosemary Stirling 17th and Sheena Fitzmaurice 19th. Rosemary Stirling, who won three SAAA 800m titles, went on to represent Great Britain with distinction on the track; and, in the 1970 Commonwealth Games in Edinburgh, ran for Scotland and won the gold medal in a particularly close 800 metres. The 1969 International took place in Scotland, over a hilly 3km course at Dalmuir, Clydebank. 41 runners entered, from England, Ireland, Scotland, Wales, New Zealand, USA and Canada. Margaret MacSherry was first Scot (18th), backed by Susan Foster (22), Sandra Kirk (25) and Sheena Fitzmaurice (29). The team finished fifth. 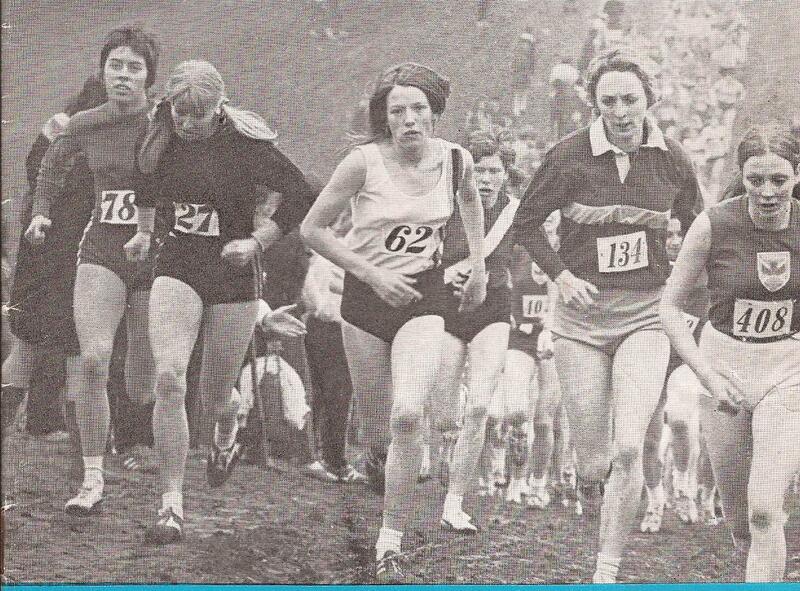 In 1970, the Scottish National at Lesmahagow featured a marvellous battle between Margaret MacSherry and 17 year old Christine Haskett of Dundee Hawkhill Harriers. They finished on the same time, with Margaret given first place. This rivalry continued when the International was held in Vichy, France. 34 took part, including runners from Australia, USA and Canada. The Scottish team finished fifth. Margaret MacSherry ran an excellent race to be sixth, but was only four seconds in front of Christine Haskett (8th). The other counters were Sheena Fitzmaurice (26th) and Sandra Kirk (28th). Christine Haskett (later Christine Price) came from a famous Dundee running clan. She was Scottish National XC champion six times between 1971 and 1982 and won a final silver medal in 1987. 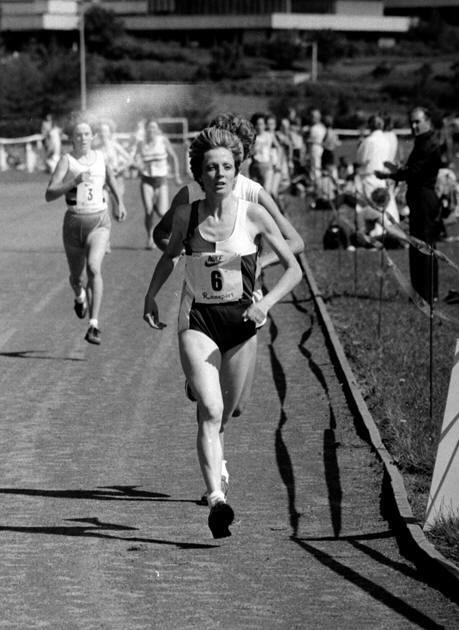 Christine ran for Scotland in the ICCU championships three times; and the IAAF ten times. On the track she won multiple SAAA titles at: 1500m (4); 3000m (3); 5000m (1); and 10,000m (1). Christine Haskett ran for Scotland in the Commonwealth Games twice: in Edinburgh1970; and (as Christine Price) in Edinburgh 1986. In 1993 she ran once more for Scotland in Cardiff. The event was the annual Five Nations Veterans XC International and Christine Price emphasised that she had lost neither stamina nor competitive class when she won the W40 gold medal. 22 years earlier, in the 1971 Senior National, over her home course in Dundee, Christine won quite easily (from Margaret) and led Hawkhill to the team title. The 1971 International was at San Sebastian and 60 athletes competed, including teams from the Netherlands, Italy, Belgium, Morocco and New Zealand. Finishing times indicate that the course was much shorter than 4.5 km / 2.8 miles. The Scottish team ended up 8th from 10. Christine Haskett had a marvellous run and finished 6th, only four seconds slower than the silver medallist. Margaret MacSherry finished 28th; Sandra Sutherland 43rd; and Ann Barrass 47th. Ann Barrass ran very well at 3000m on the track. In 1971 she finished third in the AAA 3000m; and improved to a silver medal in 1972. She was Scottish 3000m champion in 1972 and 1973. Sandra Sutherland’s best distance was 800m. She represented GB in the 1971 European Championships. 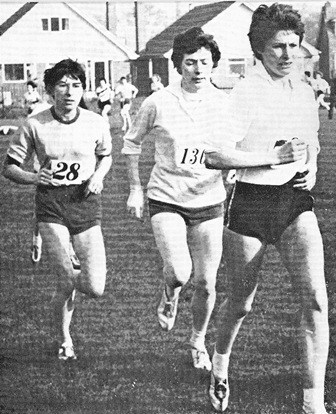 Margaret Coomber gained revenge in the 1972 Senior National, regaining the title from Christine Haskett and Ann Barrass. In the very last ICCU Championship (at Cambridge) Margaret ran brilliantly to finish in 5th place from 44 competitors. With the Scottish Intermediate champion Mary Stewart 17th, Christine Haskett 19th and Ann Barrass 23rd, the Scottish team produced a very good performance to secure bronze medals, behind England and the USA, but in front of four other teams, including Northern Ireland (taking part for the first time). Mary Stewart was the sister of Scotland and GB stars Peter and Ian. She ran for Scotland between 1972 and 1976, before changing allegiance to England, since she lived in Birmingham. While Scottish, Mary won the SAAA 1500m title in 1973 and the AAA 1500m in 1975. She represented GB: in the 1974 and 1975 European Indoor 1500m races; and the 1976 Olympic 1500m. After switching, she won 1500m titles in the 1977 European Indoors and the 1978 Commonwealth Games. Margaret MacSherry (Coomber) (Camb H) (6) 1967 (9), 1968 (13), 1969 (18), 1970 (6), 1971 (28), 1972 (5).